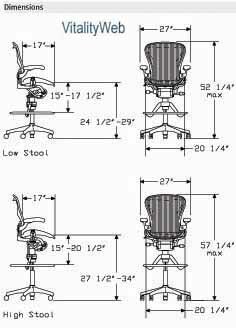 Herman Miller Aeron Stool Home Office Chair - Ergonomic Seating Aeron Stool Chair by Herman Miller. 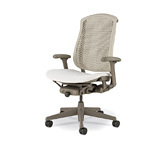 Combining distinctive looks with pioneering ergonomics, Aeron performs like no other chair. 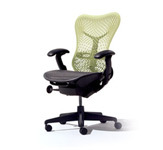 It adapts naturally and adjusts precisely to fit people of all sizes and postures doing all kinds of activities, all day long. 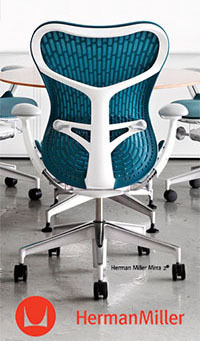 The imaginative design of both the work and side chairs gives superior comfort, body support, and style that are widely copied but never matched. 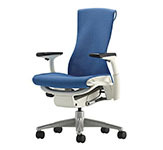 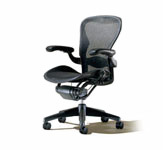 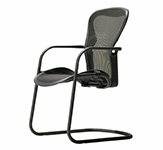 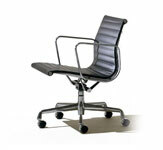 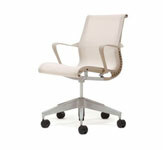 Also Available in the standard size Herman Miller Aeron Chair and a matching Aeron Side Chair.